Almost every year, Panasonic comes out with a new home theater projector, and each time it incorporates several significant improvements to the previous year's model. Last year's AE7000 was a groundbreaking home theater projector that, in addition to being the world's first LCD projector capable of full 1080p 3D, also raised the bar on what one should expect from 3D home cinema. Now Panasonic has introduced the PT-AE8000. The AE8000 is not as outwardly different from its predecessor as was the AE7000 from its own, but outward appearances mean very little. The AE8000 has significant improvements in all areas of picture quality, from brightness (both in 2D and 3D) to contrast (both in dynamic range and shadow detail) to color accuracy and the clarity of detail. Any one of these improvements can seem rather small, but taken in sum they constitute a major upgrade that will interest both videophiles and more casual users. Update September 12: We have received further information from Panasonic regarding the price of the AE8000 and its replacement lamps. We have also been told that Panasonic will offer consumers two free pairs of 3D glasses with the purchase of a Panasonic AE8000. The AE-8000 is Panasonic's newest home theater projector, offering several improvements over the AE-7000 that will be of particular benefit in a dark room home theater environment. We set up our AE8000 on a rear shelf above and slightly behind our seating area. The projector has manual H/V lens shift with a joystick-style adjustment mechanism. This system allows for a total shift range of three image heights by 1.5 image widths. In other words, you can move the picture one full image height either up or down from the central position, or a quarter of the image width in either direction. As always, the shape of the lens shift range is an oval, not a rectangle, so one cannot reach full horizontal and vertical shift simultaneously. The AE8000 has received a brightness boost over its predecessor of 20% on paper, from 2000 to 2400 lumens. However, our actual measured increase is more than the specs indicate. The AE7000's Cinema 1 mode measured 529 lumens on our test sample, whereas the new AE8000 cranks out 822 lumens in that same mode, which is more like a 50% increase. That's enough light to power a 140" diagonal 1.3 gain 16:9 screen at 18 foot Lamberts. Viewed by itself, the AE8000 is a stunning projector. However, viewing the AE8000 next to the AE7000 is when things start to get interesting. There's a clear increase in contrast, especially in low-illumination areas; shadow detail is better defined on the AE8000. The brightness difference is readily apparent to the naked eye. Detail appears more clear and sharp, though there is no sign of anything resembling an edge enhancement artifact. In 2D, these improvements combine to give the AE8000's picture a touch of refined elegance as compared to the AE7000, a quality that will be appreciated by dedicated videophiles. In 3D, a substantial improvement in brightness and stability may have specific appeal to those who view a lot of 3D material. this review is a lttle bit dissapointing..theres no word on crosstalk issues..the ae7000 had horrible crosstalk and I wanted to know if the 3d was much cleaner as far as ghosting/crosstalk..did you throw any difficult 3d at this? I do appreciate the lag numbers! please answer my question...also are the black levels better or the same as the 7000? are there any signs of cross talk ? This PJ has be intrigued, especially lens memory supporting 3D, which the AE4000 had that AE7000 lacked. The brightness and contrast boost are also welcome. Love my current Optoma HD33, but its lack of lens shift & generally being a pain to install, has me considering the AE8000. How would you rate this projector vs the benq w7000? With the warranty now two years, did Panasonic change (or drop) the hour limitation as well? Being that this projector is LCD based is there any motion blur? Also I have always noticed the screen door effect on LCD based projectors does this projector have that same characteristic? Is the Eco mode input specific? I'd like to run cinema modes in normal and the brighter modes in eco. I'd appreciate a bit more scientific testing in these reviews regarding fan noise. For example, I held of buying an AE7000 becauase I read it was louder (in eco mode) compared to my AE4000 (in eco as well). A "db" rating of fan noise in eco while displaying a test image between AE4000-->AE7000-->AE8000 would be most helpful for us "noise sensitive" folks. I am also disappointed with the lack of any more in depth discussion about it's 3D picture quality. Crosstalk? brightness? Also, comparisons against other projectors would have been great. Will this pj support a Constant Image Height setup with it's zoom memory zoom feature? What issues would I face using this projector on a 144" 2.40 screen? Panasonic AE8000 looks impressive but I have to wait for the Epson 5020. Epson warranty service is just too good for me to consider anything else. This is based on my experience with two Epson projectors over the last several years. Whenever I had a problem with my Epson unit they did not try to blame it on the usage and sent me a replacement immediately. They even replaced a bulb which burnt out prematurely even though the unit was out of warranty. I just want to say thank you for your reviews, specifically the additional concern of Input Lag with regards to gaming. I'm a gamer as well as a movie viewer and this addition is missing on several other sites. Thanks again for all your efforts and keep up the reviews! Looking forward to your thoughts on the new Epson 5020 and 6020 that were just released. can you answer some of our questions please..or do a deeper updated review..not mentioning the crosstalk/ghosting issue from the 7000 makes it seem like you avoided the issue and the 8000 is no better from you not mentioning it. I've been waiting to replace my 8700ub for the new epson 5020, but i was wondering how would the reviews of epson 5020 vs panasonic ae8000? There is no discussion concerning 3D "ghosting" (cross-talk) in the review. It would be helpful if you tried Giants of Patagonia or Dinosaurs Alive with the AE8000 and see if it can handle this very difficult material. I'm currently using both an Acer 5360 and an Epson 6010 for 3D. If the Panasonic was as good or better at handling cross-talk than the 6010 I'd consider it. If it was as good with cross-talk (none) as the 5360 I'd probably buy it. Thanks for the review. As a builder reviewer of precision scientific equipment I know how hard it is to be informative, and handed and speak to everyone even those who want more detail than needed for a thorough review, yet offer no information on their own. Not saying it could not be the projector but most Ghosting/Crosstalk issues are do to bad cables. The 8000 sounds like a very nice projector, but we did not get any feedback in the review on the optics, such as focus from center to edges, chromatic aberation, and panel convergence, nor 3d crosstalk. In terms of brigthness and black level, wihich is better, Epson 5020 or Panasonic PT AE8000? Excellent review, thanks Bill. Everyone seems to be carrying on about crosstalk. I've sold more PT-AE7000 units than any other individual retail store in Australia, and have performed professional video calibration on most of them. At no time have I encountered 3D crosstalk issues, or anything else, that could not be attributed to another weak link in the system. That is not to say they are perfect, but I can assure you that for the money, there is nothing better right now. Eagerly anticipating the arrival of the 8000 to Australia later this month, I have already pre-sold most of Panasonic's first shipment. And may I just say, that on the extremely rare occasions that a Panasonic product needs to be serviced or replaced under warranty, the support from Panasonic is every bit as good as Epson. Buy this projector with confidence. Does AE8000 have builtin Anamorphic Lens and can it offer 2.35:1 contrast ratio without going for any optional lens? Hi folks - thanks for writing. Apologies for not commenting sooner but I've been busy with other projectors. Ian - If you think the AE7000 had horrible crosstalk, I don't know what to tell you. Have you talked to Panasonic warranty support? The AE7000 had very low crosstalk compared to other projectors in that generation. We put every projector we see through the 3D wringer, and I am hypersensitive to crosstalk, so if I don't mention it it's because it wasn't a problem. Carlos - For most people I would recommend the AE8000. The W7000 is a great projector but I don't think it can stand up to the AE8000's image quality and unique features. EeeCeeTee - If you mean for the lamp, no. Lamp warranties are always going to have limits. I wouldn't be surprised if, when LED projectors finally make it out, their light sources limit the warranty to 5,000 hours or something like that. Khang - much less than on previous generations. And the screen door effect has not been a problem for a few years now, but Panasonic's Smooth Screen filter makes it even less of a problem on Panny HT projectors. Paul - I believe so, yes. Ted - I understand your concern, however modern home theater projectors are very quiet compared to even a few years ago. Where are you mounting your projector that you can still hear the fan? We have ours on a rear shelf maybe 5 feet from the audience and it's like it's not even there. That's true for most HT projectors these days, not just this one. Guy - We're only going to compare the AE8000 against other projectors released this year. The main one is going to be the Epson 5020 which we don't have yet. Comparing this year's model against last year's model doesn't tell us anything useful. R2D2 - Yes, that is the primary purpose - anamorphic display without the anamorphic lens. On a screen that large you might worry about brightness, so I'd use Cinema 2 for sure. Milo - We're excited to see the Epson 5020 as well. It should be here soon! IAN - I assume you're the same Ian. I still don't know what "crosstalk/ghosting issue" you're talking about, since we saw very little on the AE7000. However, you should know that Panasonic did some research and found that some crosstalk was temperature-related, so they adjusted the temperature control inside the unit and have reduced crosstalk even further. Mark - I don't mind people asking for more. It means they're interested and reading, and that's all I can ask for. Usually if I don't mention something it's because I think there are other more important things to discuss. If I talked about every aspect of the projector we'd end up with a 10,000-word review and no one would read it, so I have to be selective of what makes the cut. Since I didn't see a problem with crosstalk last year, I didn't mention it this year. Clearly this bothered some folks. Hopefully my comments here will put some of that to rest. Travis - I've never heard this; do you have a source? I'd like to read more. Michael - we will always mention convergence if it is a problem, but it doesn't merit a discussion in every review. A few Epson projectors years back had a serious panel alignment problem and it featured prominently in the review of those models. The same goes for edge-to-edge sharpness. If you don't see a potential problem mentioned, it's because the projector doesn't have that problem. It doesn't mean we didn't test it. James - I'll be happy to tell you as soon as we see an Epson 5020. Chris - Hey, thanks for the feedback. Looks like your experience mirrors my own. skgupta - It can give you the 2.35:1 experience using Lens Memory, but no, it does not have a built-in anamorphic lens. I think that's everyone. Thanks again for reading. We should have the Epson 5020 soon, and I'll get to work on it as soon as it arrives. Just wanted to know if this projector came with 3d glasses or would they be separate accessories i woud have to purchase? How is this PT-Ae8000u with fast motion such as football?How do you compare this with other projectors handling of fast motion? Jesse - the AE8000 comes with two pairs of 3D glasses. Jer - Yes, you should upgrade. Yes, you will see a difference. Yes, it will be for the better. You are in for a pleasant surprise. Brian - Panasonic's frame interpolation systems are perfect for fast motion, especially fast-motion video like sports. Jer, I used to have the Dwin DLP TV2 and loved it. When it broke 3 years ago and I could not get parts, I purchased the Panasonic 4000 and was not dissapointed. Hard to believe that a $2,500 projector was as good or better than the $10,000 Dwin. The new 8000 is a step up from the 4000, you will be happy with the quality. is panasonic AE8000 has wireless in it ? or what accessories i can use to connect it wireless ? first thanks for you review. it was very helpful. i might be like many others out there who don't have a dedicated home theatre. instead i just use my projector in the living room. Normally especially if I use the projector at night, it is relatively dark in the room, but in the daytime even with all the shutters closed, there is still light in the room. Any thoughts on how well this projector would do in such circumstances? The effect of a time delay between left & right eye images due to sequential display timing is well documented in research papers. The effect is to convert a flat pendulum motion into a perceived circular motion. Thus if an object is moving left to right (or right to left), the time delay between left & right eye images changes the perceived stereoscopic distance (i.e. the convergence angle between the two eyes is changed such that the pendulum appears closer when moving left and farther when moving right, or vice versa). Stereoscopically, the moving object appears closer or farther than it would if stationary. A panning image would also change apparent distace for the same reason but would be less noticable because there is no reference distance as there is with the background next to a moving object. Great review! Debating between this one and the Mits 8000. For a 120" screen in a dedicated theater room, will the Panny provide enough light for 3D on that screen? I've read that the Mitsubishi's are a little "dimmer" than the Panny's for 3D. Will also wait for your Epson review. i am planning to order this projector and have it shipped from the US (I live in Qatar) , does it only accept 120v or will it take 220-240v input ? Can someone please clarify if this projector has the vertical stretch (Vertical Fill) feature, to allow this projector to work with anamorphic lens'. I do not see it mentioned on the Test repot nor in the manual or brochure. Also is there any reason I would not want to use the Prismasonic HD-6000R lens? No mention of IR vs RF glasses. Is there much difference? I've read that IR glasses can lose signal with the turn of the head to talk to someone. What is the lag time using the different modes? There is no mention of it in the review. has anyone tried 200inch?? does it work well or too dark? What size screen will it fill if I put it in a room that is only 9 feet wide? I recently installed the PTAE8000U with a 125" 2:35 JKP 1.1 gian screen. I am pleased with the brightness, but not very pleased with the blacks. Walls are black. Furniture is dark. Ceiling unfortunately is white, which is a factor reducing the contrast ratio somewhat. Room has no significant ambient light. I am wondering why reveiwers seam to refuse to test and provide ANSI contrast measurments. I think this is a very important test and greatly adds to the overall contrast perfomance assessment. So come on Bill, please add this test info to the reports. My AE8000 has just arrived and I've noticed that there are restrictions on projector placement if you want to achieve a constant image height for both 16x9 and 2.35:1. With extreme lens shift, the projected image translates vertically when zoomed out, such that the screen for 16x9 is not fully covered when zoomed out for 2.35:1. In these extreme mounting positions, manual adjustment of the lens shift is required for each aspect ratio change. Panasonic hasn't provided mounting guidance for constant image height use, attainable only through remote control. After 3 weeks of this message being displayed one of the guys at the store I bought it from thought it might be in service mode. I'm still waiting for the panasonic canada to get back to me on this. Has anyone ever had projector come out of the box in service mode before?? Does anyone know if this projecter supports 3D SBS Mode? I have been looking for that info and cannot seem to find it, but I could be blind, or maybe there is another term for the same thing. This projector does support SBS (side by side). You can select it under 3D Settings > 3D Input Format. In the shoot out review (PTAE-8000 vs. the Epson 5020UB Shootout: Epson 5020UB vs Panasonic AE8000) it states "The AE8000 has an anamorphic stretch mode for compatibility with anamorphic lenses" The brochures states nothing about this. The Manual for the PTAE8000U Pg. 62 shows vertical fit not available for HDMI inputs and no mention of Vertical stretch in the manual. Is there a different version of this model? I do not see this feature. Please clarify. Either prove this or print a retraction. "Featuring a wide range of aspect modes, including ones for anamorphic lenses. (JUST/4:3/16:9/S16:9/14:9/ZOOM1/ZOOM2/ H-FIT/V-FIT) NOTE: The selectable modes vary depending on the input signal." By the way, I believe the manual is a bit misleading. On page 61, it shows V-FIT available for certain signals input via HDMI. On page 62, as you mention in your post, the manual states "(Not available with HDMI signal. )," however I believe that statement refers to the phrase immediately proceeding it. In other words, you can use V-FIT over HDMI, but you cannot manually adjust it with the up/down buttons. I have the PT-AE8000U and while viewing a 1080i signal over HDMI (DirecTV), I can choose V-FIT as aspect ratio but cannot manually adjust the setting. Can the 6020 epson be wireless? Yes it work on 220 volt. I find it very blurry. Up close pictures are nice, but as the picture pans out it gets blurry. This is not a high def. picture. You can't even read the writing on the screen. Amazing run panasonics PT-AE line is on for the last 5 or 6 years on Projector Central. John, If you've read most of the reviews here vs. other sites, you'll find this site very 'Panasonic friendly'. There is a lot of subjectivity in reviews that must be taken with a grain of salt. Other site's reviews show more parity than you see reflected here IMHO. I have a Yahama tuner with component hookups. Do I need to replace my tuner with An HDMI connection tuner. I would like to avoid the expense. Also, does it support Apple devices for wireless.? Does the streaming device they offer make it Apple wifi acceptable? I generally like this projector, however, I seem to seeing pretty nasty lag. Any idea how I can test what times I'm seeing, measure in ms, etc? Thankfully, Amazon has extended return window. Not sure what else I'd get, though. Need the lens shift, brightness. Also, I think it's slightly blurry. I can hear the people talking before I see the mouths move. I can mirror my laptop and noticeably see the lag with the mouse cursor / page scrolling. I specifically want to play games (xbox 360), watch live video, etc. I have about 200 hours on mine and the screen cuts in and out (not to blue screen) just flickers a black screen in and out repeatedly and seems to be getting worse. I just moved from the U.S. to the UK, will my AE 1000 projector work in 240v? I had this problem. I updated my blue ray player with newest software and it corrected the problem. How is this projector in ambient light? Hi, I've had the same sporadic blacking out issue for 2 years since I first bought the projector (using Blurays, all web and movies from hard drives). I had replaced my Sony system 3 times and was fed up resetting everything. Panasonic were just useless. They told me that they only test the projector using a short HDMI cable (which does seem to work fine, but that's not a realistic solution for my set up or many other projector owners. I also called Monster cable, another set of useless people, that insisted that it was because my cable wasn't "Monster". I had installed a HDMI 1.,4 4K cable from Cablemart when building my house and wasn't in a hurry to start ripping out drywall everywhere. The projector always performed perfectly when watching programming via the cable box from Verizon FIOS, which outputs 1080i. I made sure that of the signal output of my sources was fixed at 1080i (make sure that auto is disabled). IT SOLVED THE PROBLEM AND HAS BEEN PERFECT EVER SINCE. There is no inferior image when watching blurays or 3D and it seems very stable. The Sony box also is in perfect sync when booting up now as the interfaces starts up blue instead of green. I wanted to post earlier, but didn't want to get hopes up as I know that this is a common issues on other blogs. The Panasonic PT-AE8000u is one great projector. It's bright, quiet and the blacks are really black. The picture quality is excellent using both the HDMI and component inputs. Movies in both 480 w/ doubling and 1080 blue-ray content are sharp and detailed. Installation pretty simple. The ability to focus the projector from the remote and the abundance of adjustable features in the menu are outstanding. One thing missing is the lack of ability to keep track of the number of hours logged on the projector lamp. Another short coming is the printed instruction manual is missing about two thirds of the actual content. Panasonic provides a cd disc with the manual in pdf format. You are not aware of the missing content until viewing the disc in your laptop pc. All in all, the PT-AE8000u is a fantastic projector rich with features. Whats the difference between the PT AE8000u 2012 and the PT ae8000u 2014? Hi all! I'm planning on getting my first HT projector. Pretty much decided on the Benq (W1070/HT1075) for less than $800 which is generally regarded the best within my budget (~$1500). Now that the AE8000U is offered for ~$1600 on Amazon I'm wondering if I should get it for double the price! I have NO experience with HT projectors, but I'm very tech savvy and already know everything to know about the units - on paper!.. has anyone (Dear Bill?) seen both calibrated in similar conditions? Is the AE8000U's picture twice as good as the Benq's? Will I be twice as happy/impressed with it? One thing I'm worried about regarding the AE8000U is the absence of an on-board panel alignment system (available on the Epson 5030UB ~$2300). Is this a deal breaker assuming that I won't be able to send my unit in for servicing/panel alignment? How often (after how many operating hours) will it need this done? Can I do it myself? (Yes I'll be voiding the warranty, but can I with some instructions do it myself or some special software/equipment is required?) Thanks! Hey I am looking at this projector. I am considering the 110" Elite Sable Frame 3D Series Fixed Frame Screen. Never owned a projector and have been researching a lot, but figured it was time to post up for people that have actual experience with it. So my question is, does that scree work well with this PJ? The projector does keep track of bulb hours. You just haven't found it in the menu. It's there. Anyone else experience it on this projector? Any ideas on a workaround or how to help the issue? I bought the AE3000U several years back after reading reviews here and elsewhere. I have been extremely happy with it. I'm pretty skeptical of the comment implying that this site is inordinately biased in favor of panasonic for a couple reasons. First, although panasonic projectors have indeed scored highly, I would note that the AE8000 came out in 2012 and did not receive the editor's choice award until 2015. This is likely because although the picture quality was good it wasn't the best value until the price dropped. This line of panasonic projectors has generally offered a great deal more in terms of installation flexibility, calibration tools and extras than other comparable projectors in the price range. I would expect it to fare well as a result. High scores would be expected. Second, you indicated that the panasonic projectors fare better here than elsewhere. However, after looking around at other review sites, I don't see it even being compared. 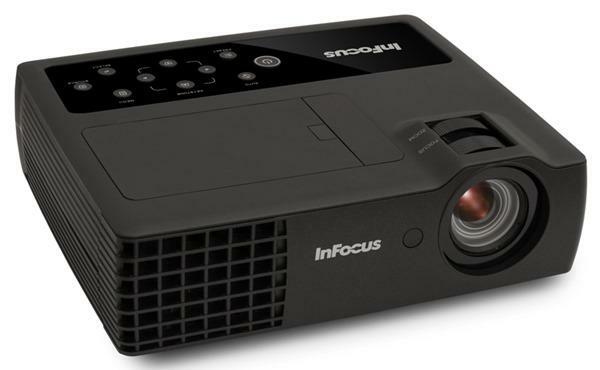 The "2015 best projectors" on most sites appear to focus on projectors that are new, so they would not include one that was released in 2012. The one exception I found that included a panasonic projector from this line was comparing the AE4000, which is several generations older, and it still ended up in 2nd place. So exactly what websites are disagreeing? Keep in mind that a general forum would typically not be a reliable source since individual buyers do not have a sample of each projector type to do head-to-head comparisons, they can only effectively report their satisfaction with a purchase already made. That is one of the primary reasons this site is so valuable. Does anyone know if Panasonic has exited the home theater projector business? I'm just curious since they've never updated the AE8000. Thanks! I'm curious about this (Panasonic exiting the projector business) too. I'm thinking about replacing my PTAE2000U and am somewhat reluctant to go with a projector released in 2012, but I love my 2000U and feel a Panny *ought* to be in the running for replacing it. I bought this projector 3 years ago and installed it on the living room ceiling. The screen size is 150 inch 16:9. The picture is awesome, crystal clear and sharp. The brightness is enough even with ambient light in the kitchen next to the living room. The colors are well saturated and eye pleasing. I also own Sony LCOS projector which i bought for more money. The colors are dull and brightness is significantly less with the Sony on the same size screen in the basement. Get the Panasonic AE8000u. You will not regret it. I picked mine up this spring of 2016. The price point is excellent for what it does. It will smoke your AE2000. #D on a large screen is phenomenal. Viewing is bright and crystal clear. Panasonic AE8000 has lens memory. What this means is you can purchase a 235:1 screen for watching true cinema aspect ratio. Only a couple of manufacturers offer lens memory and at a much higher price point. I don't know what you decided to do and I hope my response helps. How does the 8000 vent? I have a very tight projector "box" shelf. The sides are enclosed and it is a hair under 19" wide. I have a PT-AE3000u in there now (been there for over 7 years) . The 3000 vents front to back (or vice versa) so I don't have any overheating issues with it being tight. The 8000 being about a 1/4" wider would still fit, but if it needs more clearance (if it pulls or exhausts air to the sides) I am out of luck. I've owned this projector for 4 years. Its great out of the box and produces fantastic cinema quality images on my 132 inch screen. I have never had an operational problem with the projector - always started up and worked as expected. The biggest problem with it is dust blobs. I don't seem to see any mention of dust blobs but they are notorious with LCD projectors. I sent this back to Panasonic and had it cleaned 2 years ago. Its now 2 years later, and ready to go back again. On any white background you can clearly see purple splotches on the left and right hand side of the screen. So at the current price its a great deal, but expect a cleaning charge and polarizer replacement every 2 years at $600 a pop. I'm thinking of buying a new one because at $1600 its a deal compared to $600 cleaning and a new lamp at $400. I can get a new projector and a warranty for $600 more. The background of most scenes appeard soft and almost blurred at times. I talkeda bout this with some projector retailers and their tech support said that Panasonic's image processing does this and many people like it. The projector has significant optical distortion when the lens shift is used. If you shift the lens downward the bottom of white text turns red. If you shift it up then it turns blue. The way the lens shift works it simply moves the lens relative to the light beam and anything significant caused a color shift. I have an 8.5ft ceiling and 106" screen 21" from the ceiling and the mount is 8.5" from the ceiling so I was shifting down slightly which was enough to make all of the setup menu txt distorted. This issue has also been observed on other ae8000u projectors on the online forums. The optics must simply not be good enough for the lens shift... While I mainly saw this on text knowing that it exists on other images just bothered my sensabilities. It was significantly quieter than the epson 5030ub (which apparently gets louder when ceiling mounted) and the ae8000u allowed me to use ECO mode in 3d which the 5030ub does not allow (which I am still evaluating if it is a deal breaker on the 5030ub).